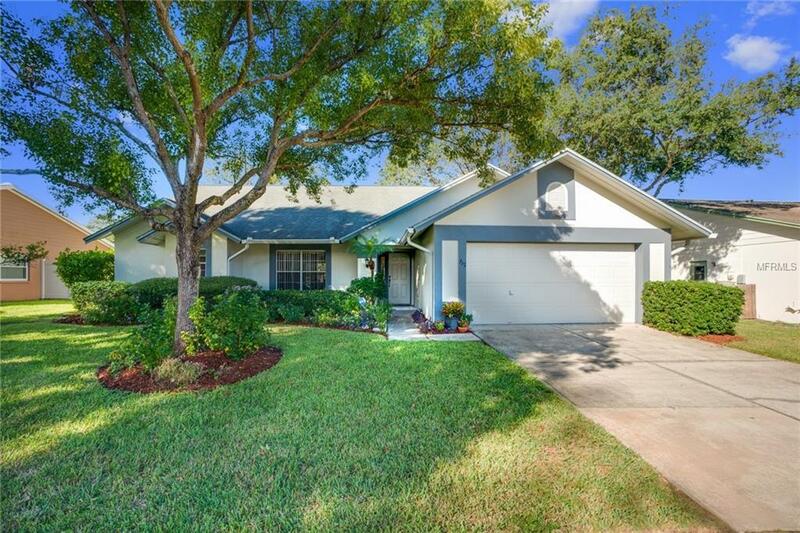 This beautifully kept 3/2 split floor plan home in Northwest Pinellas County is sure to please. There are so may activities to enjoy as this is minutes away from the pristine sandy Gulf beaches, the Dunedin Causeway, Tarpon Springs sponge docks and major roads. Enjoy the perfect Florida lifestyle by entertaining at the screened in pool and the spacious covered patio. The fenced in backyard and well-manicured landscaping throughout make this a tropical oasis for anyone wanting to develop their "green thumb. The new Brazilian hardwood floors are beautiful and make a statement of quality as soon as you walk in the front door. The updated kitchen cabinets and countertops, hall bath, floors and the freshly painted interior all come together to show pride of ownership. The 3 patio sliders provide quick and easy access to the pool area from multiple rooms including the master suite. Other notable features include an inside laundry with cabinets and storage, security system and outside door from the garage. All the major systems have plenty of good years left and you wont need to worry about painting the outside as that has plenty of years left as well. The neighborhood is well lit and has sidewalks for easy walks. This home is move in ready and looking for a new owner that enjoys living the ultimate Florida lifestyle. Schedule your appointment for a visit today. Listing provided courtesy of American Heritage Realty.